Looking for something to spice up your new year? 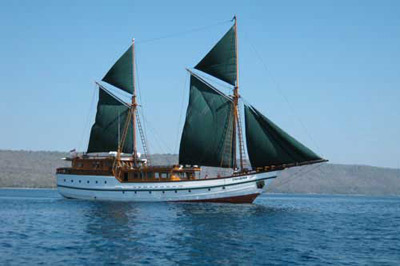 Why not check out our special offers – onboard the Tambora liveaboard? We might have just what you’re looking for! Contact Symbiosis for further details. Are you still deciding on your summer getaway? We may have just what you need – The SMY Tambora is now offering special discounts for the following 4 scheduled dates for liveaboard diving around North & Central Raja Ampat. Located northwest of Indonesia’s West Papua (formerly Irian Jaya) on the Bird’s Head Seascape, it is the world’s most bio-diverse marine region with more recorded fish, coral and mollusc species than anywhere else on the planet. And, here is your last chance to grab these special deals! Contact us to reserve your space now. 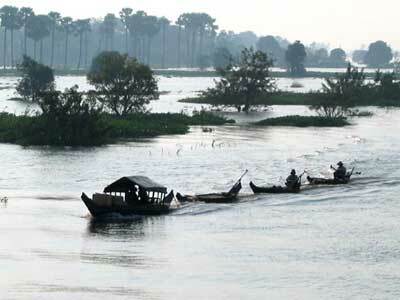 Take this opportunity and enjoy 20% off onboard the Toum Toiu 1, cruising the Mekong from Siem Reap to Saigon. Contact Symbiosis now for more details. 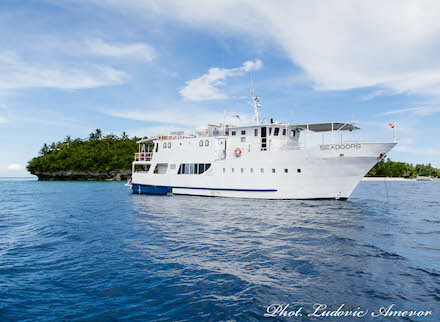 A few spaces opened up for Tubbataha diving onboard the Seadoors liveaboard! Listed as UNESCO dive site in the Philippines, Tubbataha Reef is an atoll coral reef and a Natural Marine Park in the Sulu Sea. Due to its isolated location, it can only be visited by liveaboard, and the season only lasts from March to early June. Often, the boats get booked up very quickly and well in advance. Grab your space now, contact Symbiosis for more details. There are several last minute special offers available onboard the beautiful Tambora, sailing through the exotic islands of Indonesia. Contact Us now to reserve your spaces. The 2018 King’s Cup Elephant Polo Tournament will take place on the banks of the Chao Phraya River in Bangkok, Thailand from 8-11 March 2018. Now in its sixteenth year, the festival has become one of the biggest charitable events in Southeast Asia with over US$1.5 million (BHT 50 million) raised and donated to projects that better the lives of Thailand’s wild and domesticated elephant population. Funds from this year’s event were donated to various projects including the Zoological Parks Organisation of Thailand which supports veterinary and educational projects to improve the year-round lives of elephants and mahouts in the Surin Province where ex-street elephants face ongoing hardship. The donations have also funded South East Asia’s first ever workshop to teach mahouts and vets the benefits of Environmental Enrichment to keep elephants happy as well as the construction of a watch tower in a village whose crops are raided by elephants, allowing villagers to watch and warn other villagers of approaching elephants in a safe manner for both people and elephants. Donations also funded a conservation education trip to a National Park for the children and next generation of hereditary mahouts to learn the importance of elephants in the wild; the transport of Thai elephant vets to international conferences; funding Thai Government aid to teach mahouts to act as veterinary assistants and provide basic first aid and other medical care to their elephants; as well as community based Human Elephant Conflict mitigation projects in two Thai and one Tanzanian National Parks and the purchase of equipment for anti-poaching rangers in a Cambodian National Park. Other significant benefits from the money raised by the tournament include: the ongoing Thai Elephant Therapy Project which has been underway since 2009 in conjunction with Chiang Mai University’s Department of Occupational Therapy, with future clinics to include children with Down’s Syndrome and other conditions now committed until the end of 2018 as well as the funding of Asia’s first workshop to show traditional elephant trainers and camp owners the benefits of Positive Reinforcement Training for captive elephants with additional workshops this year in Myanmar reaching teams responsible for over 200 elephants. To plan your Thailand trip to coincide with this great annual event, contact Symbiosis Custom Travel and start planning now. Typhoon Damrey, the 12th major storm to hit Vietnam this year, made landfall on Saturday 04 November 2017 with winds of up to 90 km/h (56 mph) that damaged more than 40,000 homes, knocked down electricity poles and uprooted trees, leaving 29 dead and 29 missing according to the Central Steering Committee for Natural Disaster Prevention and Control. Vietnam is no stranger to cyclones but Accuweather reported this was the strongest in the area for the last 16 years. Damrey made landfall near Nha Trang with the equivalent strength of a Category 2 hurricane. The typhoon destroyed many homes, blew the roofs off more than 25,000 others, and sank transport and fishing boats. There was also extensive damage to the provinces’ rice fields and other crop farms. Widespread blackouts were reported in the region and dozens of flights were cancelled. The hardest hit regions include the south central provinces of Khanh Hoa, Phu Yen, and Bình Dịnh, the Central Highlands provinces of Dak Lak, Dak Nong and Lam Dong, and the central provinces of Quang Nam, Quang Trị and Thua Thien-Hue, and Da Nang City, where the first events of the APEC Economic Leaders’ Week were taking place. The Heavy rain and high tide combined to inundate many areas. In Hoi An, many hotels were affected by the storm. Hoi An Silk Boutique Hotel & Spa experienced flooding in their restaurant situated at the basement level and we assisted in transferring their guests to a hotel in Da Nang City. Little Hoian Central Boutique Hotel & Spa is temporarily closing their resort and evacuating their guests to Da Nang as well. In Hue, all hotels remain open and are operating regularly. All of Phu Yen Province and Khanh Hoa Province except for Nha Trang City; and all of Bình Dịnh Province other than Tam Quan District suffered from total blackouts. Parts of Dak Lak, Kon Tum, Dak Nong and Quang Ngai provinces shared the same fate. In Ninh Van Bay, the An Lam Retreats Ninh Van Bay has announced its temporary closure and will re-open on the 25th of November 2017. The Six Senses Resort has also informed us of their temporary closure until the 15th of November 2017. In Nha Trang City, there is no flooding but some streets remained blocked by fallen trees. There is currently no electricity and WIFI connectivity throughout the city. The status for Bali’s rumbling Mount Agung volcano that forced more than 100,000 to flee was downgraded on Sunday from level IV (danger, the highest level) to level III (standby), but there is still a chance it could erupt. Thousands of evacuees have been allowed to go home now that the radius of the red zone has been tightened, but villagers still living inside the updated exclusion zone of six to seven and a half kilometers remain evacuated. Mt. Agung continues to rumble but has yet to erupt. White smoke at a height of 1,500 meters was seen over Mount Agung on October 7, 2017. More than 100,000 have evacuated their villages with government officials unhappy that perhaps as many as half the evacuees, acting out of fear and propelled by rumors, have fled homes located in areas considered safe from an eruption. The Governor is urging those coming from safe areas to leave the temporary camps and return to their homes or, at least, stay at a local hotel. Meanwhile, inside the “danger zone” Bali’s sacred Besakih Temple and the surrounding community have gone dark, abandoned, at least temporarily, until Mount Agung’s alert level is lowered. The Ministry of Tourism has established a Hospitality Task Force to keep the public reliably informed on all developments related to Mt. Agung. In this connection, Bali’s Governor wants those spreading hoaxes and false news about Mount Agung charged with a crime and brought to justice. In his efforts to keep the public reliably informed, Governor Pastika has met with foreign legations in Bali and asked them to keep their home constituencies informed that Bali is still safe for holidaymakers. The Minister of Tourism visited Bali last week to review contingency planning and meet with Bali Hospitality Task Force’s Media Center. Minister Yahya estimates that cancellations of groups to Bali may be running between 20%-30%. Now 10 full days after the alert level on Bali’s volcanic Mount Agung was increased to the highest level “IV” – the volcano continues to rumble but has yet to actually erupt. The number of people who have evacuated their homes is now estimated to have surpassed 140,000 – a number officials claim is driven by fear, with perhaps half of that number fleeing homes that are, in fact, considered well out of the “danger zone” should Mt. 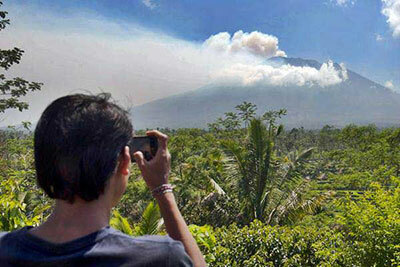 Agung erupt. News related to Mt. Agung dominates this week’s update. We have the latest summary update from the Ministry of Energy and Natural Resources. Meanwhile, scientist say magma that has risen from a depth of 100-kilometers below the crater to now just two-kilometers below the peak, is now at an impasse, momentary or otherwise, as its tries to break through the hardened crater floor. Satellites focused on the crater have detected a large fissure and a hotspot, both of which are now being monitored closely by scientists. Meanwhile, the Indonesia’s Minister of Tourism insists that tourism to Bali remains unaffected by the warning connected to Mt. Agung. Governor Pastika pleads for moderation in reporting on the volcano, saying that in the event of an eruption, damage would be limited to areas immediately surrounding the mountain and far removed from the densely populated parts of Bali. Road officials have surveyed roads and bridges that could be affected by any eventual explosion of Mt. Agung. While all eyes point to Mt. Agung, we have reports on the installation of 5 early warning sirens installed on the mountain’s slopes. The TelkomGroup has plans well in hand to keep telecommunications operating in the areas surrounding Mt. Agung in any eventuality. Banks in Karangasem are working with customer who may be economically disadvantaged by the alert warnings on Mt Agung. And, Airbnb implements an “Open House” plan for people who want to provide free, temporary housing to those displaced by developments on Mt. Agung. Bali is witnessing an unparalleled response to the hardship of those living near Mr. Agung. Balinese are helping feed and clothe the homeless, save abandoned animals, and provide housing to fellow islanders. The Anand Ashram Foundation is providing anti-stress yoga training to evacuees. And, the villagers of Tejakula in Buleleng have welcomed those seeking refuge from the mountain with dances and music. BALI, Indonesia — Thousands of villagers on the Indonesian resort island of Bali huddled Saturday in temporary shelters, sports centers and with relatives, fearing Mount Agung will erupt for the first time in more than half a century. This colourful ship in the photo behind the two happy snorkelling kids is the Kalabia. She cruises around Raja Ampat in West Papau engaging the natural curiosity of children in order to teach them about conservation, which in turn helps build community knowledge and awareness, pride, love, and a sense of ownership and responsibility for local marine resources. By changing attitudes and behaviour, Kalabia inspires conservation of globally-important ecosystems in the heart of the coral triangle, and ensures food security and increased well-being for local residents for generations to come. If you would like to make a small contribution to her continued success, please visit the website here. 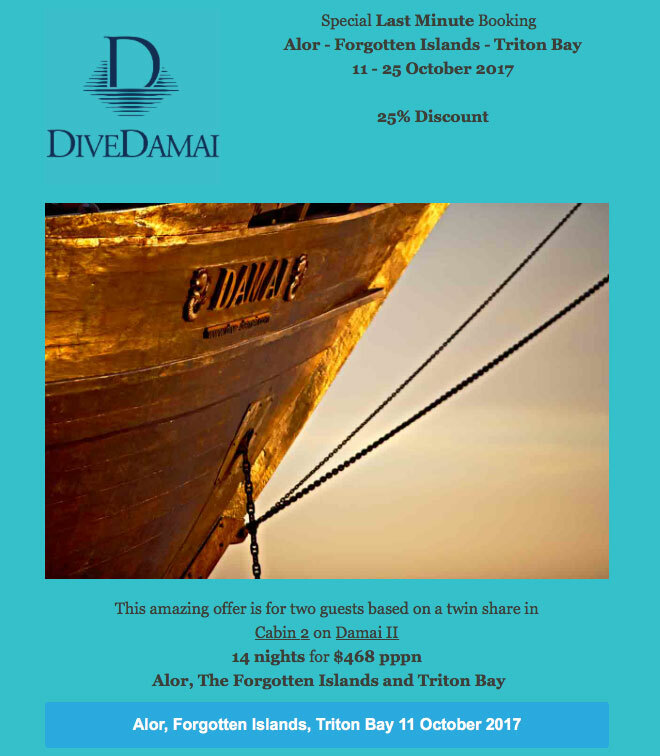 Symbiosis is pleased to be able to offer a fantastic 25% discount for the very last twin cabin aboard this amazing dive cruise from Alor to Triton Bay, West Papua. An adventurous diver’s dream trip through some of the richest waters in the world. Contact Symbiosis Custom Travel today to hold the cabin. foreign visitors to Malaysia, both business and leisure travellers alike. Malaysian citizens and permanent residents who hold a valid MyPR card are exempted. The local travel industry initially believed that the tax would be postponed to 2018. However, the Royal Malaysian Customs Department recently announced that the Malaysia Tourism Tax will officially commence on 1st September 2017. The Tourism Tax will be collected by hotels on behalf of the government. 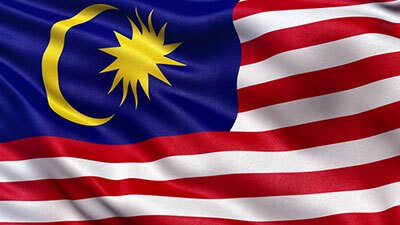 Hotels in Malaysia will not collect the tax in advance or invoice tour operators and affiliates. Instead, guests will be informed of the tax upon check-in, with the tax collected by the hotels as mandated by law. Late check outs after 2 pm will also be subjected to an additional MYR 10.00 tourism tax for the day. The tourism tax will be indicated and itemised in a guests’ bill.